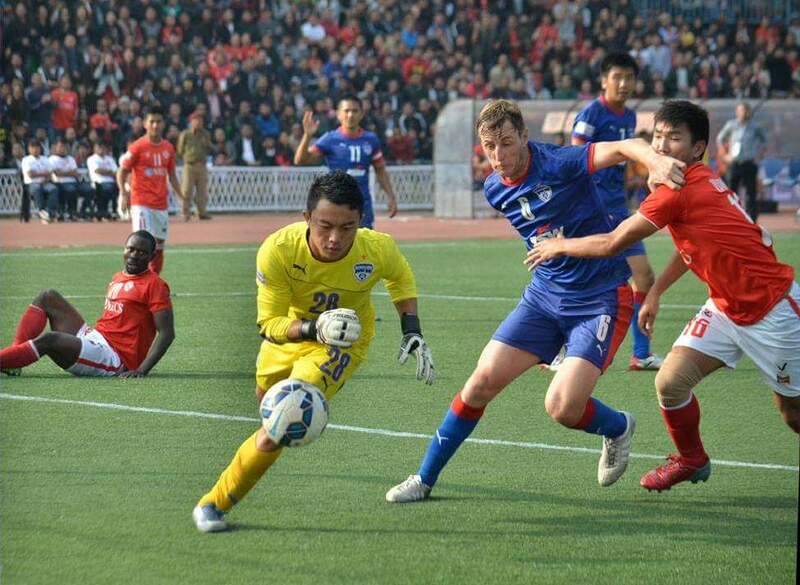 The lethal header by Curtis Osano in 26th minute ensured Bengaluru FC leaving Aizawl with full three points. With this narrow win over the debutants Aizawl FC, the 2013-14 champions earned their second successive away win in as many outings in the Hero I-League 2015-16. The eagerly awaited match between Aizawl FC and Bengaluru FC kicked off at 1 pm at Rajiv Gandhi Stadium ahead of a cheering crowd. It was one of the historic day in Mizoram football history as they hosted their first ever Hero I-League match. Ashley Westwood made just one change to the starting XI that beat Salgaocar the week before, bringing in Udanta Singh for Malsawmzuala. And the nippy winger did enough to show what he’s capable of bringing to the table. Darting off on runs that the Aizawl defence had a tough time dealing with, Udanta earned the Blues a free-kick in the 26th minute – one that led to Bengaluru’s opener. Bengaluru next play at home at the Kanteerava Stadium when they take on Shillong Lajong on January 24.